If you suffer from diabetes, managing your blood sugar levels isn’t the only thing you’ll need to work harder at in order to stay healthy. 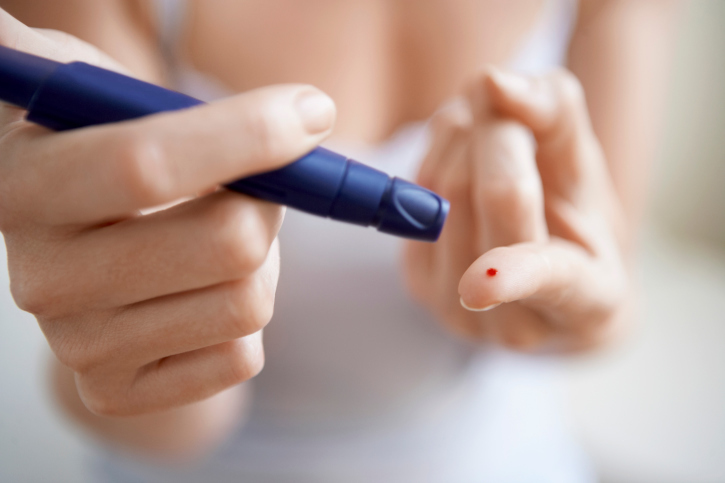 Individuals with diabetes also have a higher risk of suffering from oral health problems due to the disease’s ability to impact how effectively your body fights harmful bacteria that grows in the mouth known as plaque. Red, bleeding, swollen, or sore gums, or gums that have begun recede away from the base of your teeth. Fortunately, patients of Portland dentist Dr. Howard Jarvis with diabetes can still successfully manage their oral health by taking a few extra precautions. Gingivitis and diabetes feed off each another to make both diseases worse for diabetics who don’t have their condition under control. Poorly controlled blood sugar levels increase your risk of developing oral health conditions such as tooth loss, dry mouth, gum disease, and fungal infections like thrush. Gum disease, such as gingivitis or the more serious periodontitis, and thrush can lead to an oral infection. Diabetics with an infection have an even harder time controlling their blood sugar levels, which in turn makes them more likely to develop an oral infection. To keep your mouth healthy and prevent infections, you need to have your diabetes under control. Since individuals with diabetes have a higher likelihood of developing an oral infection, you need to schedule regular appointments with a dentist. Make sure to inform Dr. Jarvis of your diabetes, and inform him of any medications you take to help control the disease. In addition to providing oral health cleanings that help to protect and strengthen your teeth, Dr. Jarvis can also provide you with tips on how to properly care for your teeth at home as a diabetic. Depending on the current state of your oral health, Dr. Jarvis may recommend scheduling appointments every three months, instead of the usual six. As mentioned previously, high blood sugar levels encourage the growth of plaque in the mouth. The more plaque your mouth contains, the more acid this bacteria can create whenever you eat or drink sugary liquids. This acid slowly eats away at your teeth’s enamel, eventually causing gum disease and tooth decay. Since your mouth already creates more plaque naturally, you need to pay close attention to maintaining and practicing quality oral hygiene. This means brushing at least twice a day for two minutes at a time, and flossing daily. You should also consider adding an anti-bacterial mouthwash as part of your nightly oral hygiene routine. While a matter of personal preference on the type of brush used, studies have shown that electric and sonic toothbrushes help to clean more plaque from teeth than traditional handheld brushes. Individuals with uncontrolled diabetes may want to consider the use of an electric or sonic toothbrush to help combat the additional plaque their mouths creates. If you have any questions about what diabetes can do to your oral health, feel free to ask your dentist in Portland, Oregon Dr. Howard Jarvis during your next appointment at Southwest Portland Dental.